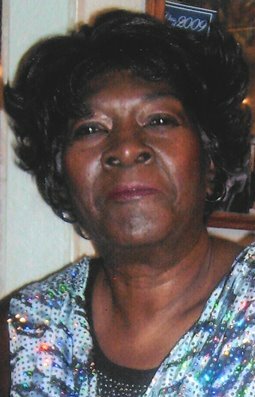 Betty “Belle Starr” Price, 80, of Fremont, OH passed away on Saturday, November 24, 2018 at Bethesda Care Center. She was born on February 26, 1938 in Fremont to John Will and Katie Lou (Patterson) Price. Belle was a homemaker and had also worked at Rusty’s Jazz Café in Toledo, OH. She was a member of First Baptist Church in Fremont where her father was a founding member. Belle was a former member of the NAACP. She enjoyed cooking, cleaning and listening to gospel music. Belle loved to spend time with her family. Belle is survived by her sons, James D. Price of West Virginia, Michael (Kim) Price, Fremont, OH; brother, Jas C. (Patsy) Price, Fremont, OH; grandchildren, Cheree, Michael Jr. (Carlie), Princeton, Essence (Darius) Breon, Taylor; eight great grandchildren; special friends, Joyce Simms and Jeanette Johnson and a host of nieces and nephews. She was preceded in death by her parents; son Tim Price; siblings, Eddie Eugene, Charlotte, William Belmont, Johnnie Dora Mae, Claude Sandus, Clyde Thomas and Haldon Sherwood. Visitation: Friday, November 30, 2018 from 10:00 am until Noon at Wonderly Horvath Hanes Funeral Home and Crematory, 425 E. State St, Fremont, OH. Memorials can be made to Bethesda Care Center, 600 N. Brush St, Fremont, OH 43420. MY CONDOLENCES! I WILL NEVER FORGET YOU BELLE STAR!.. MUCH LOVE! passing. Our prayers to you . God bless everyone. Love you. James and Carol Price Ray. Their was a very sweet nature from you theirs no way you crossed anyone that didn’t like knowing you. You will truly be missed by many. R.I.P friend. Praying for peace for my family! Loved you Betty Belle thank you for so many wonderful memories. I had the true joy of being Ms Betty’s aide over the years, I am deeply saddened to hear of the family’s loss. Ms Betty and I had enjoyed a lot of laughs and fun times over the past couple of years. Fly high Mama Betty!!!! !